I spoke with Pete Sorensen, former managing director of HTG Peer Groups and newly-appointed VP of IT Nation, about the organizational and programmatic changes we can expect in the wake of the rebrand. Our conversation revealed that as the peer group experience goes, there will be little in the way of shellshock. Sticking with the talking points that followed the acquisition announcement in January, Sorensen told me that peer group members can expect continued enhancement to peer sharing and accountability programming at IT Nation Evolve’s quarterly meetings, crediting an expansion of resources resulting from the ConnectWise ownership. One possible byproduct of those expanded resources for IT Nation Evolve staffers (the incredible green-bleeding employees of HTG in and around the organization’s Harlan, IA headquarters) might be relief from pressure to sell memberships and ancillary services and programming. When it was an autonomous business, HTG was self-reliant on driving and retaining its member base and revenue. While there’s no doubt—given the longstanding prerequisite that HTG members use ConnectWise manage—that the group will serve as one tip of many spears in the ConnectWise sales arsenal, Sorensen told me that his IT Nation Team won’t be beholden to ConnectWise revenue targets. “We don’t exist to drive up the bottom line,” said Sorensen. “Our mission is less about revenue than it is providing a higher level of connectedness within the ecosystem, aligning the IT Nation more closely with other ecosystem partners, and keeping the pipeline full,” said Sorensen. Those extra resources will also feed the international expansion of the peer group, which HTG has been building incrementally for the past few years. Hot spots for that growth are focused on Australia, New Zealand, and the UK. IT Nation Connect, the conference formerly known simply as IT Nation, is ConnectWise’s flagship exhibition and conference. The annual, three-day conference features speakers, sessions, and networking focused on business best practices, thought leadership and growth. 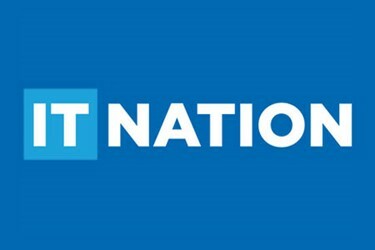 IT Nation Connect takes place every November, and as Bellini made clear earlier this year, it’s open to every channel vendor, MSP, or wanna-be MSP, including non-ConnectWise users and ConnectWise competitors. IT Nation Explore is the ConnectWise event formerly known as Automation Nation. This one takes place annually in June. It’s a more solutions (i.e. product)-focused conference that comprises three days of product training and networking with subject matter experts representing the breadth of the ConnectWise platform and ecosystem. IT Nation Share – IT Nation Share is the new name for the ConnectWise User Groups. These are regional gatherings around the globe designed to give ConnectWise users and prospective clients an opportunity to connect, collaborate and learn. IT Nation Evolve – Henceforth, the HTG Peer Groups Community that was acquired in January will be known as IT Nation Evolve. IT Nation Evolve focuses on igniting success for partners and solution providers both in business and in life via accountability and facilitated peer-to-peer quarterly meetings, just as it did when it was called HTG. While Sorensen will preside over all four branches of the IT Nation tree, he says Andre Gilmore, former Senior Consultant at HTG Peer Groups, will serve as the day-to-day lead for IT Nation Evolve and IT Nation Share. ConnectWise Community Manager Susan Sawyer Rhodes and Corie Leaman, community manager for IT Nation events, will also play leadership roles, as will Brad Schow, former COO at HTG and current VP of Consulting for ConnectWise. Stay tuned to Channel Voice: The Channel Executive Podcast for more insight into the legacy of HTG and the future of IT Nation Evolve, straight from HTG patriarch Arlin Sorensen, an upcoming guest on the show. For more information on the new branding and organization of ConnectWise events, visit connectwise.com/theitnation.